If you were around in the mid 1960s and liked to read then you may have seen a book by Ralph Nader out there. After Nader graduated from Princeton University and Harvard Law School, he wrote “Unsafe at Any Speed: The Designed-In Dangers of the American Automobile.” And yes, we’re talking about the Ralph Nader who has run for U.S president as a third-party candidate on more than one occasion! Nader had an interest in automobile safety, and thus he wrote his book that was a bestseller in the late 1960s after being published by Grossman Publishers. The book’s material was a look at the way the auto industry viewed its responsibility to manufacture safe automobiles. Nader’s work is often tied to a review of the Chevrolet Corvair, a compact car manufactured in the 1960s with a rear engine. While there was focus on the Corvair, the book was a criticism of the entire industry. For example, Nader included paragraphs on lack of devices like seat belts, the pollution that internal combustion engines can cause, and the lack in many vehicles of any safety testing. Nader’s book had eight chapters total. The Sales Manager at URSE Honda, a full-service local car dealer in Bridgeport, WV, recommends checking out this book! Nader’s writing explored the concept that automotive executives did not show concern about most of the dangerous problems involved with their vehicles. The last chapter of the book, in particular, zoomed in on the safety advocates’ battle, and how if nothing changed, that  50% of Americans could end up be injured or killed in a car crash eventually. After “Unsafe” came out, a huge deal of change occurred. 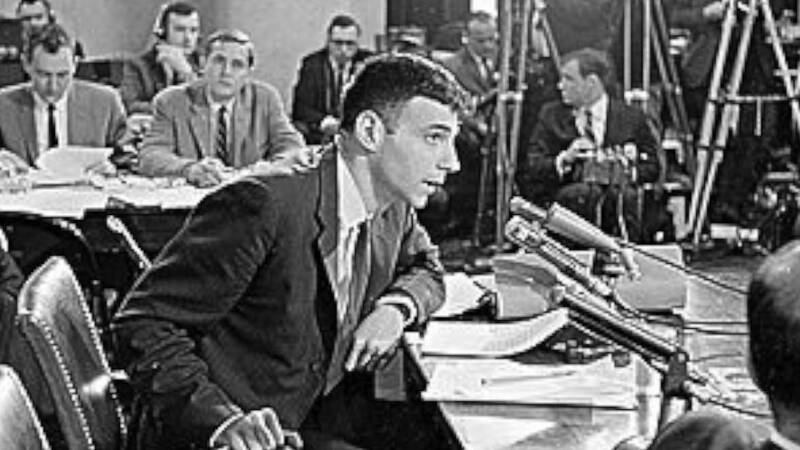 Not only did General Motors investigate Nader for the book, but Nader’s work pushed the passage of the National Traffic and Motor Vehicle Safety Act of 1966. Nader’s book was painful. But later, after the decades since its release, the auto industry should be happy that Nader published his book. By pushing for safety features that all carmakers had to adopt, the automotive manufacturers probably saved millions of dollars in future lawsuits. Here’s a fact to consider: In 1980, 23 people out of 100,000 passed away each year in car crashes. Today, because of hundreds of federal safety regulations, that rate is less than 10 per 100,000. However, Nader recently said that “The auto industry wants to turn the car into an entertainment center.” He believes that vehicle manufacturers should make sure that their accessories and gadgets don’t interfere with the concept of safe driving, and Nader is concerned that all the multitasking that happens in a car may be distracting. We are convinced that Nader’s book wasn’t only the opinions of a curmudgeon, and it helped out the automotive industry a great deal! Nader is also involved in consumer advocacy for drug and food safety if that interests you. We hope you enjoyed learning about Nader’s interesting contribution to the automotive industry!